Black Hills Energy has received customer reports of late bill payment scams with customers being told that they are past due on their account, and without immediate payment, their service will be disconnected. “Beware, as perpetrators are becoming more sophisticated, manipulating caller ID or leaving a call-back number with a recording that mimics a utility’s phone system message and options,” said Watkins. We advise customers with concerns to call our service associates at 1-888-890-5554 to verify the legitimacy of requests for payment history, amounts due or whether an employee was dispatched to your location. Payment options and account access also are available at blackhillsenergy.com. 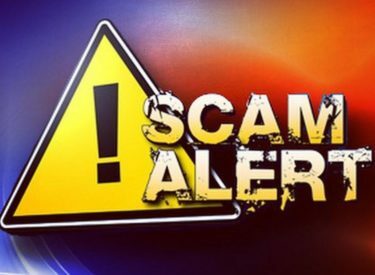 Additionally, Black Hills Energy urges customers with concerns about the identity of someone claiming to represent the company to call Black Hills Energy’s 24-hour emergency line at 800-694-8989 to verify employment. Calling local law enforcement is also an option. Don’t give in to a high-pressure call seeking personal information – if someone calls claiming to represent your local utility and they demand immediate payment or personal information, hang up and call the customer service number on your utility bill. To verify whether an employee was dispatched to your location, call your utility using the number on your bill or the company’s website. Black Hills Energy employees wear shirts with a Black Hills logo, carry a company-issued photo ID and drive logoed vehicles. Employees will gladly wait outside while you call the company to verify their identity. Do not provide your Social Security number, credit card numbers or bank account information to anyone during an unsolicited phone call or an unannounced visit.